Forbes stated in an article back in September, these statics on why using videos in marketing is critical. 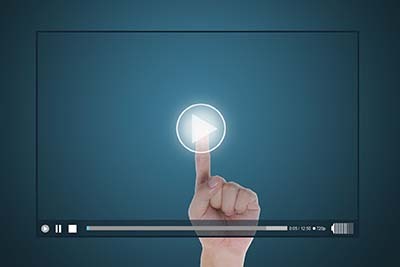 - 70% of marketing professionals report that video converts better than any other medium. - The average internet user spends 88% more time on a website with video than without. - 64% of consumers are more likely to buy a product after watching a video about it. - Using the word “Video” in an email subject line boosts open rates by 19%, click-through rates by 65%, and reduces unsubscribe rates by 26%. - 69% of smartphone users say videos are a perfect solution for smartphone viewing as it offers a quick way for consumers to grasp an overview of a product. After seeing these statics, why wouldn’t you use video in your marketing? We had our Video specialist Sean Lorton, speak on why video is so important. If you aren’t using video within your marketing yet, don’t freak out. We are here to help you integrate video within your marketing. “Video is vitally important. It can elicit an certain emotion or feeling. It moves people to think or act. Video done right can give people goosebumps and make them feel completely connected to what they are watching. No other form of marketing can do that. A common mistake companies make everyday, is that they don’t understand the power of video. They think that if they just put something out there it will get a result. That couldn’t be further from the truth. It may get SOME results, but it won’t capitalize on it’s full potential. All it does is add to the noise that is constantly inundating people. Good video understands how to connect to the viewer and STAND OUT from the noise. A lot of small business owners want to put themselves and/or their family into the video because they are they’re paying for it and they are the face of the business. This is not always a good idea. You want to present the best image possible that will attract people. When you are ready to standout against the noise and want to receive real results for your brand or company, let us know. We are here to help you.